One of the blessings of our new Greenfield house is the tall and majestic American sycamore which gives the front of the house shade and helps cool it in summer. My husband Henry and I have never had such a large domestic tree. 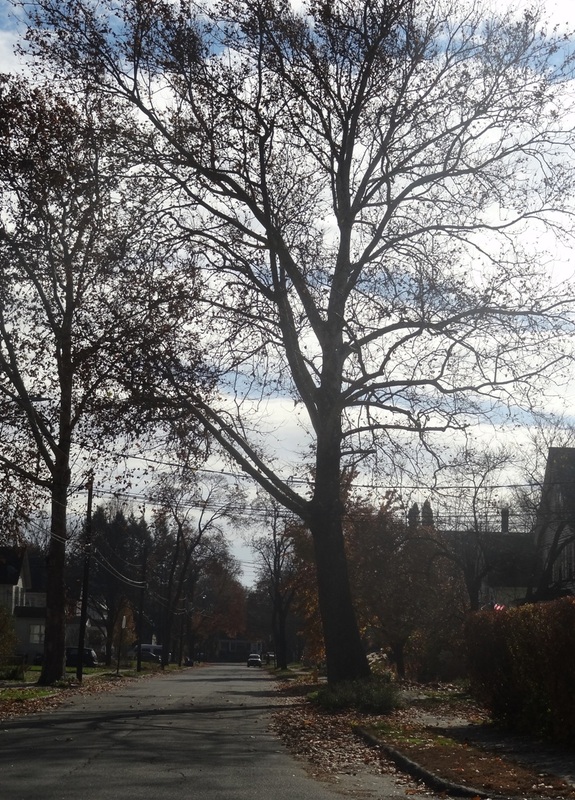 New York’s residential trees cannot be too big, and the big trees in Heath were nowhere near the house. They were wild trees in the woods. We were told that the tree was a sycamore, but the mottled bark made me wonder whether it was a plane tree. It was when we turned to the Internet to find out why Henry was coughing so much when he was out raking leaves (that seemed to have fallen all at once over night) that I found my answer. Our research confirmed that our tree is an American sycamore (Platanus occidentalis) and not an Oriental plane tree (Platanus orientalis, or a London plane tree which is a hybrid of the two, probably created in the late seventeenth century. 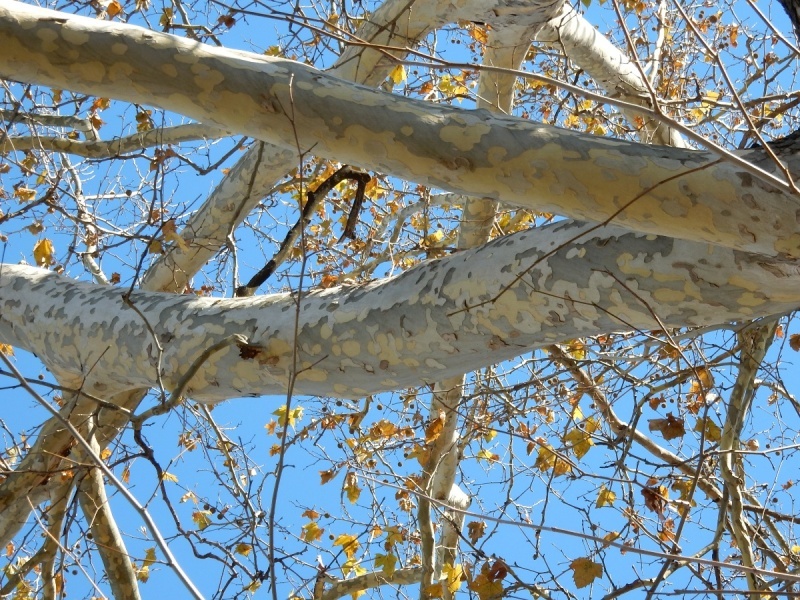 The American sycamore is native to Eastern North America and is known as the tree with the greatest girth. After 200-300 years it may become hollow and there are tales of colonial families making a temporary shelter of that hollow tree. There is also a tale of 15 horsemen, and their horses, taking shelter in a hollow sycamore, but that sounds more like a campfire story than a piece of recorded history. Sunderland is proud of their giant sycamore tree which has a girth of over 24 feet and was alive when our American Constitution was signed. Though these three trees are similar, 100 feet or more, grow rapidly, have mottled bark and ball shaped fruit, there are differences. The American sycamore’s bark is rough and grooved near the base and the bark in the upper limbs and branches is thin and brittle. As the tree grows and branches rapidly gain greater size over the season the thin bark cracks and falls off the tree. Then the gray/white underbark is exposed. The whole London plane tree has mottled bark with an underbark that is a pale yellow or green shade. In both cases the exfoliation is caused by the rapid growth of the limbs and the thinness of the bark. At least that is a theory. It has been pointed out that there are other trees like the shagbark hickory that have exfoliating bark, but they do not grow as quickly, and the bark has more time to grow with the limbs. 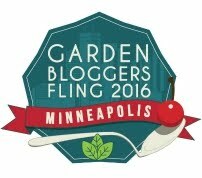 I have always said there are many mysteries in the garden. The ball shaped fruits which do not contain seeds, are called buttonballs and grow singly from a single stem on the American sycamore. Two fruits grow on a single stem on the London plane tree. Because of these fruits the American sycamore is sometimes called a buttonball tree, and it was under a buttonball that the agreement to form the New York Stock Exchange was signed in 1792. That document is even called the Buttonball Agreement, so the sycamore has its place in our country’s history. The tree may also have its place in many family histories. The sycamore has such a long life span that a sycamore was often called a ‘bride and groom’ tree when it was planted in front of a newlywed’s house, symbolic of a wish for a long and happy life together. My further researches explained that the wood of the sycamore has many uses, for flooring, chopping blocks, good furniture and sometimes sliced into veneers that are then glued together forming plywood. It can also serve an even humbler use when it is ground up for particle board. American sycamores grow fast and can be coppiced. That means that when a sycamore is cut down, new branches will grow from the stump. They will grow until they can be cut again. Coppicing is an ancient technique for getting new wood and timber out of the same roots. Birch can be coppiced again and again every four years or so for small firewood, but oak can be coppiced every 50 years for poles and timber. I learned a lot about sycamores but not what was making my husband cough. I soldiered on with my research and gave my botanical vocabulary a workout. The large coarse leaves of sycamores are palmately veined which is to say the main veins originate from the leafstalk which is also called the petiole. In the spring the underside of these leaves area are covered with tiny hairs called pubescence. These tiny hairs begin to be shed in mid season and continue until abscission which is when the leaves lose their grip and fall. It is these hairs that cause irritation when breathed in when raking or doing other pruning or maintenance. The sycamore also produces seeds that are called achenes because the seed is covered with a hard coating. The winged seeds that maple trees produce (remember sticking them on your nose or twirling them into helicopters when you were a kid) are also achenes. Actually, the maple achenes have their own special name; they are samaras. The sycamore seeds are attached to more little hairs that act as parachutes that will carry at least some of the seeds away on the wind. I do love learning new words even though I may not use that new word ever again. The tiny hairs cause irritation. It is not clear to me what it is about the hairs that make them irritants. My research only took me so far. I am happy with our beautiful tree, and even with the leaves because they provide biomass for my compost. Wearing masks while raking is a small price to pay. My neighbor’s sycamore is planted about five feet from the foundation. Lovely tree but I don’t understand how they cannot have foundation issues since it is a slab on wet soil. Oh well. I have noticed that when I blow the leaves off my drive it irritates my throat, but there are many folks around my area with the same cough.